Mandy over at The Complete Cook Book in South Africa has a wonderful idea of sharing some items in her kitchen each month. From what I understand, Celia from Fig Jam and Lime Cordial started this idea so head over to their blogs as see what they are sharing this month too. An “In My Kitchen” post is supposed to be posted on the first of the month, at least within a few days of it. Here are a few of my favorite things in my kitchen this month. 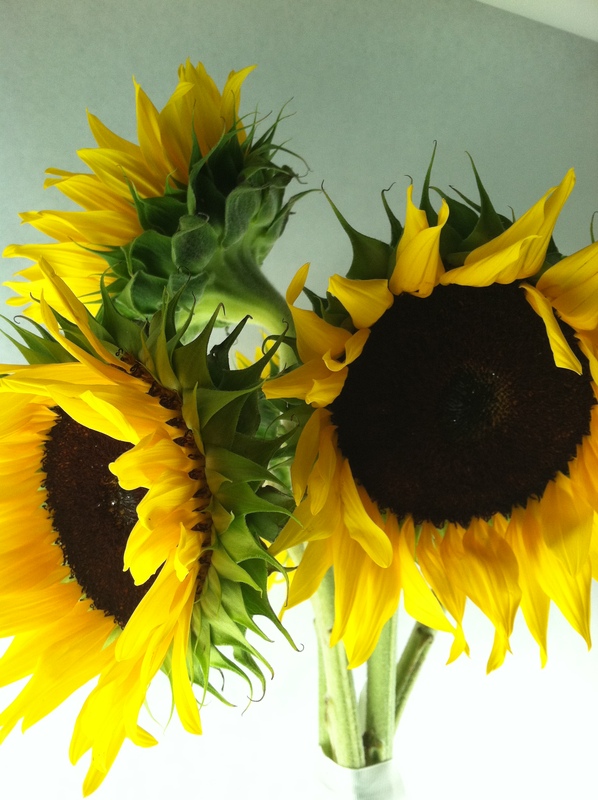 In my kitchen: is a tall vase full of beautiful sunflowers a friend brought as a thank-you for dinner. Sunflowers from a friend as a thank-you for dinner. 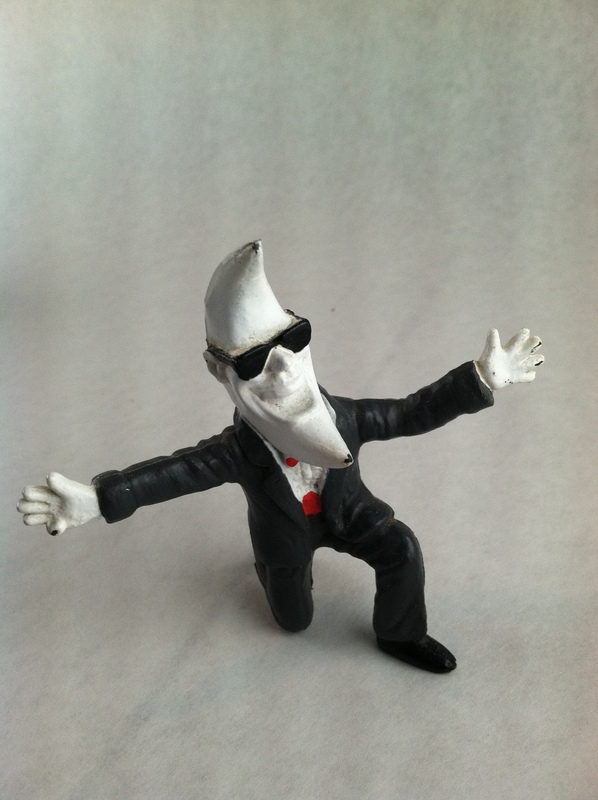 “Mac Tonight” always makes me grin, especially when he sings. Sugar bowl inside lid detail, notice the corner seams. Nicely done! 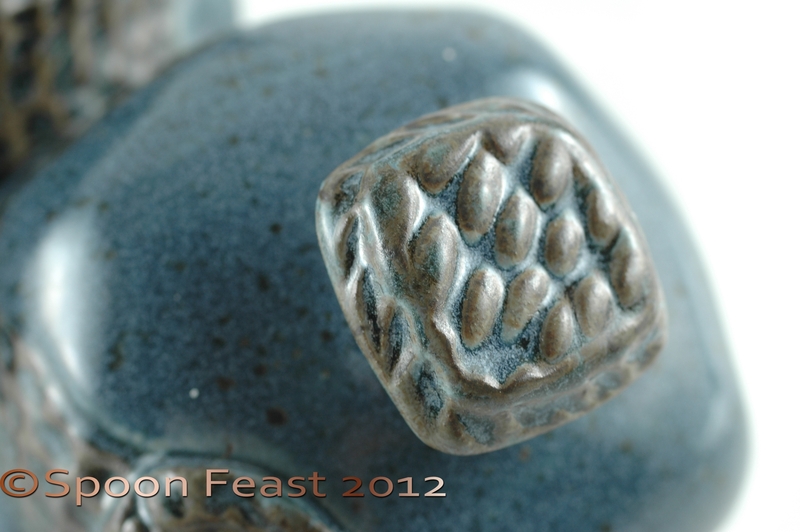 Outside detail of the sugar bowl. A student of mine is from Russia. She brought me a gift one year of these delightful spoons. They are hand painted. The small spoon is for salt and the larger one is for sugar. And yes I do use them all the time. Will you share some of your favorite things in your kitchen? The second song is my favorite! They had to keep revising the lyrics due to copyright infringements with the original song. This is all so odd because I don’t eat this kind of food, but adore these commercials. So Mr. Mac gets an honored spot in my kitchen. He is responsible for spontaneous outbursts of song and snapping fingers. This entry was posted in Cooking Thoughts, In My Kitchen and tagged Kitchen, kitchen things, Mac Tonight, Sugar Bowl. Bookmark the permalink. How fun of you to share a glimpse into your kitchen and what beauty there is to be found. Your sugar bowl and spoons are just too gorgeous! Thanks again for the link back! When I first saw your “In My Kitchen’ post I thought what a great and fun idea. It led me to Celia’s blog which is great too. So thank you! I love flowers everywhere. Big sunflowers like these are like having the sun in you house. So bright and wonderful. Thanks Uru. so jealous of your new sugar bowl! absolutely fabulous!!! Not at all, Mr. Mac isn’t offended at all. It is an odd affinity, I must say. What a lovely post! Thanks for joining in the IMK fun, Pamela. Your new sugar bowl is very nice, but those Russian spoons are simply stunning. They must be an absolute joy to use! Thank you, the spoons are a pleasure to use. They are so artistic. Love the IMK idea! 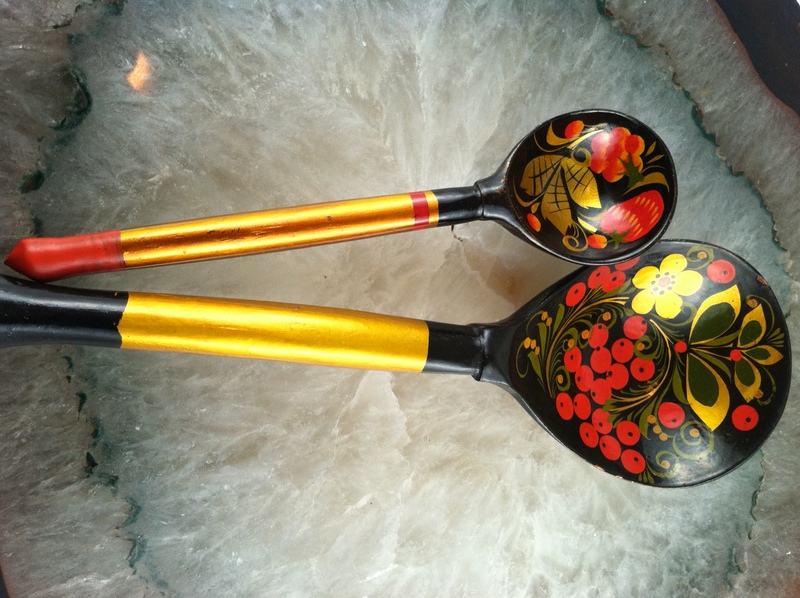 I love those Russian spoons, they are delightful. I love the sunflowers! 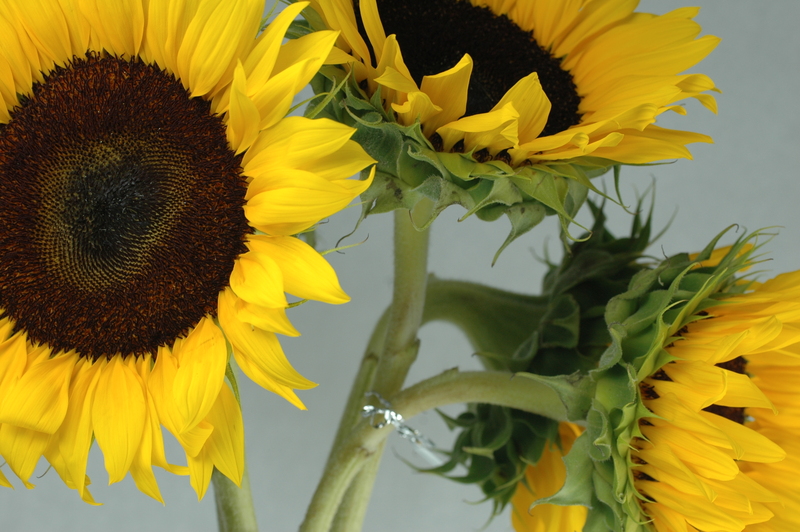 My niece used to send me sunflowers through an internet floral service when she was in Iraq. It makes me smile to remember how she tried to distract me from thinking of the war with sunflowers. 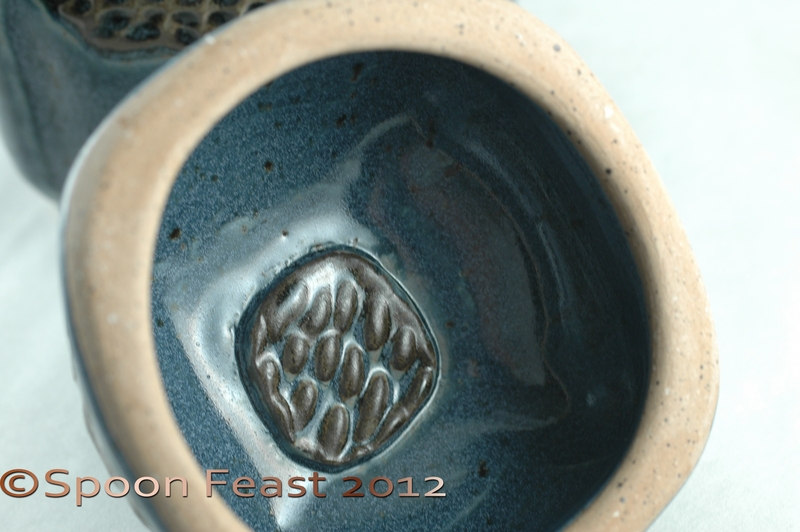 And the sugar bowl is a real treasure! 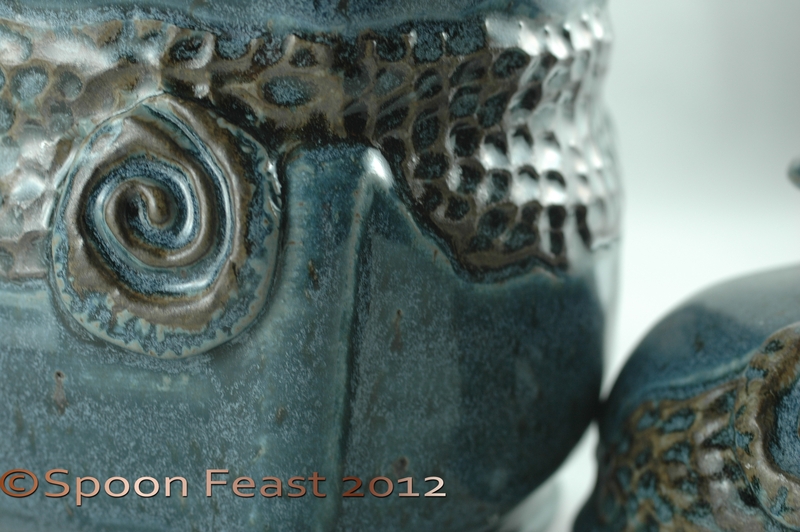 I love pottery that is functional. Thanks for sharing- your post was very enjoyable. What kind words and lovely story, thank you! I hope your niece is back and doing well. Thanks for stopping by my blog, I appreciate it very much! She’s stationed in Canberra right now- so she sends me golden syrup, licorice, and other fun stuff from Australia! How very nice! I am glad she is out of harms way. I have similar spoons (my family is from Belarus) and I love them! I hardly ever use them because I’m afraid I’ll damage them. However, family tells me they should be used for special occasions and hand washed. Definitely hand washed. 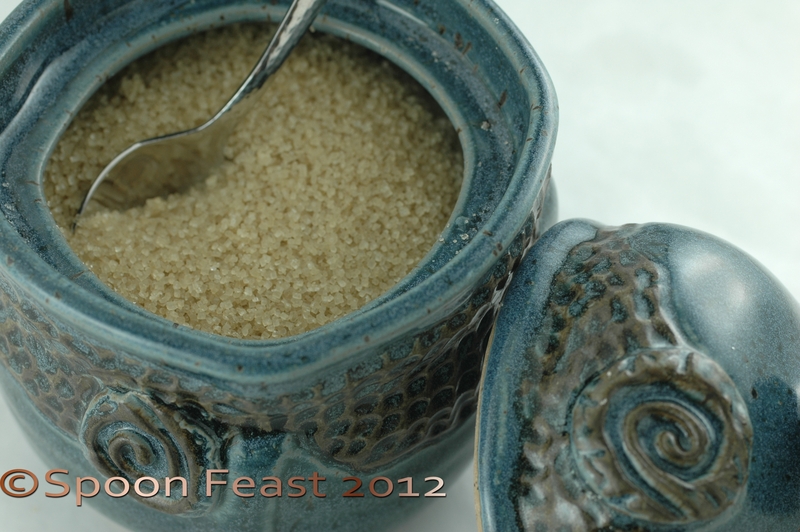 I get great pleasure spooning out salt and sugar with the spoons. I think of the person who gave them to me and I appreciate their beauty. Guess I am of the school to use the precious things we have. Why else have them?